WPL families are always welcome to explore, play, and learn together. To discover what program is right for your baby, click here. View the In the Loop program and events guide online or pick up a copy at your favourite WPL location. WPL's MakerBike hits the road each summer and could be coming to a neighbourhood, park or recreation centre near you! The MakerBike, with its mobile tool trailer, will be making planned (and surprise, pop-up) appearances across the city.Waterluvians of all ages are encouraged to come out to a MakerBike stop in the summer. They'll have a chance to create, play and build projects (using REAL tools) that reflect the unique characteristics of their neighbourhood. For more information on WPL's MakerBike, contact Jaymis Goertz, Programmer, Emergent Technologies, at jgoertz@wpl.ca or 519-886-1310 ext. 165. WPL is a proud participant in Baby Connections, a unique early literacy program for infants and their parents/caregivers. Click here to learn more about how Baby Connections works and to watch a short promotional video. 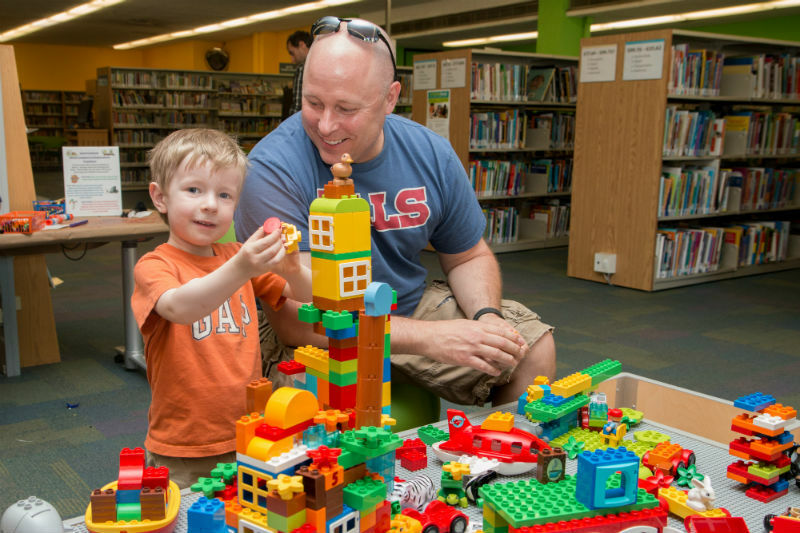 EXPLORE PLAY LEARN is the Waterloo Public Library’s early learning strategy for children ages 0-6 years. For more information on EXPLORE PLAY LEARN please click here. Did you know that over 2,000 kids take part in our Summer Reading Club (SRC) each year? If you are looking for a summer full of adventure, activities, prizes and library fun, make sure you sign up too!